The Mathematics Department has five teachers. They are Mrs P Jones (Head of Department), Mr A Jeffrey (Second in Department), Mr D Brown, Mr T Martin(Numeracy Coordinator) and A.Wright. Mrs Jones and Mr Martin are also trusted markers on the WJEC Higher Tier and WJEC Foundation Tier exam boards, respectively. The department has experienced sustained success over the past 3-4 years and were the best performing Mathematics Department in the county in 2012. Indeed the department has always had a significant number of A* grades and Mrs P Jones currently holds the record with 12, something the rest of the department are striving to beat. Last year’s results almost put the department in the top quarter of mathematics departments in Wales; however we narrowly missed out by approximately 0.5%. The department caters for both more able and talented pupils, as well as pupils who find mathematics very difficult by offering a range of courses in addition to the GCSE. We offer WJEC Additional Mathematics for the more able in year 11 and also WJEC Entry Level for the less able pupils. 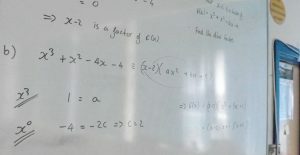 Additional Mathematics grounds pupils in the basics of calculus and other topics which will be required at A-Level, and is highly valuable for anyone looking to take the subject further. Smaller class sizes are generally available for pupils who find mathematics particularly challenging. Therein they have the opportunity to gain grounding in the ‘basics’ before having the opportunity to move up if they show potential. In Year 7 we also have a development group called Sumbusters which is run by Mr Jeffrey. 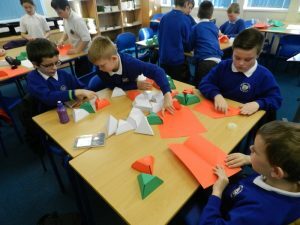 It is aimed at pupils who lack confidence in mathematics and possibly just need a little extra help in order to make significant steps forward in mathematics lessons.